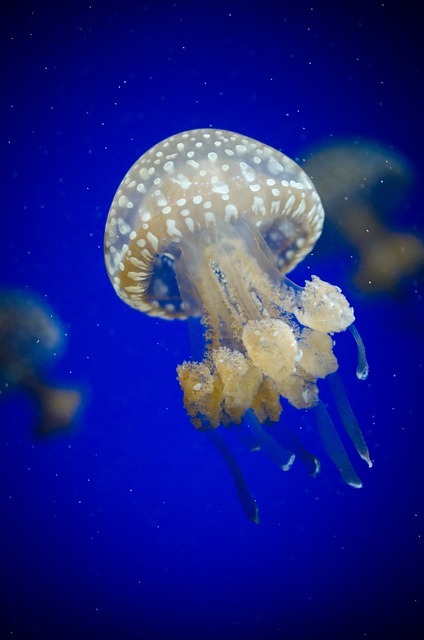 Scientists from the National University of Singapore have taken inspiration from jellyfish to create an electronic skin. Just like a jellyfish, the electronic skin is transparent, stretchable, touch-sensitive and self-healing in aquatic environments. It can be used in everything from water-resistant touchscreens to aquatic soft robots. They succeeded by creating a gel comprising a fluorocarbon-based polymer with a fluorine-rich ionic liquid. When combined, the polymer network interacts with the ionic liquid via highly reversible ion–dipole interactions, which allows it to self-heal. The electronic skin is created by printing the novel material into electronic circuits. As a soft and stretchable material, its electrical properties change when touched, pressed or strained. “We can then measure this change, and convert it into readable electrical signals to create a vast array of different sensor applications,” Asst Prof Tee added. One further advantage of this self-healing electronic skin is the potential it has to reduce waste. Millions of tonnes of electronic waste from devices like broken mobile phones are generated globally every year. The scientists hope to create a future where electronic devices made from intelligent materials can perform self-repair functions to reduce the amount of electronic waste in the world. Which tea bags are free of plastic?